CNC machines for gear hobbing, worm & thread milling, medical , and specialized applications. “MZ” develops innovative machine tools for the automotive, medical, dental and watchmaking industries for customers around the world. The company’s core skills include the construction of special purpose machines. With decades of experience, MZ offers customers ongoing development and support for solutions tailored exactly to their requirements. Partnered with Koepfer America, customers can rest assured their machine tool investment will have lasting domestic technical service and support. Lambert-Wahli AG was integrated into Monnier + Zahner in 2007. Click here to visit the MZ website. MZ is an innovative manufacturer of machine tools for the automotive, watchmaking, medical and dental industries. The company implements machine projects from planning and development to production and assembly. They adapt and optimize standard machines to meet the requirements of customers. 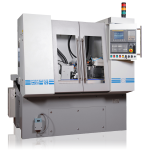 For special applications, we’re also happy to develop special purpose machines, which means that we offer machine tool solutions tailored exactly to your individual requirements. 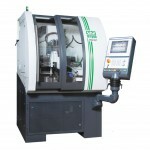 MZ offers several fine- and ultra-fine pitch CNC gear hobbing machines. 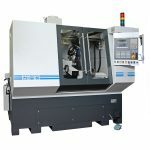 These machines are respected throughout the world for their unique solutions for manufacturing very small parts, especially those where manual handling becomes impractical. Koepfer America has been working with MZ for decades, so together we provide strong support, expertise, and technical service found nowhere else. 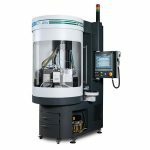 MZ offers several high-production CNC worm and thread milling machines with flexible automation systems. If you have a unique, small metal-cutting, handling, and/or automating challenge with high-volume demands, please get in touch with us.